You can also listen on our site or through Pocket Casts, Google Play, Stitcher, and TuneIn. Good advice is a precious resource to be shared & celebrated. Advice from Mom is equal parts mental health and motherly love. On this advice-column podcast, mother-daughter duo Dr. Momma B and Rebecca field listener letters that ask life’s big questions. Thoughtful, critical, comical, and sometimes even musical, their back and forth (and special guests!) presents practical advice informed by Momma B’s 35 years experience as a psychologist and family therapist. We like to go on advice adventures! 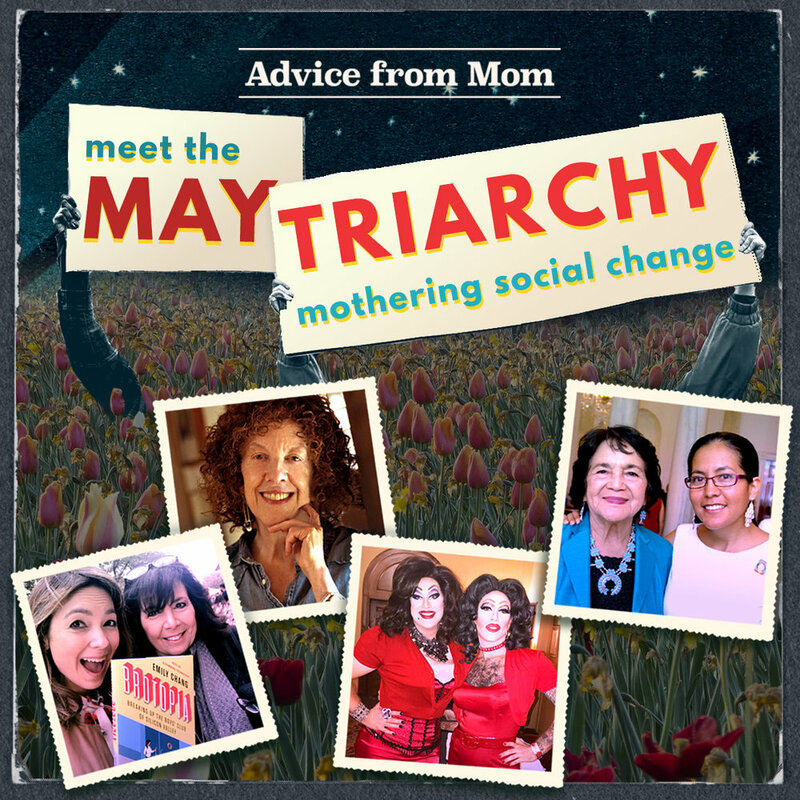 Like in May 2018, we decided to celebrate Mother's Day all month long by interviewing revolutionary motherly figures of all sorts who embody the term “mother” as a verb: Meet The MAYtriarchy. We also like to make practical guides to help with your everyday mental health. For our listeners interested in finding a therapist, preparing for their first session, or getting out of therapy, Momma B has several sleuthing how-to episodes: Baby Steps Specials. 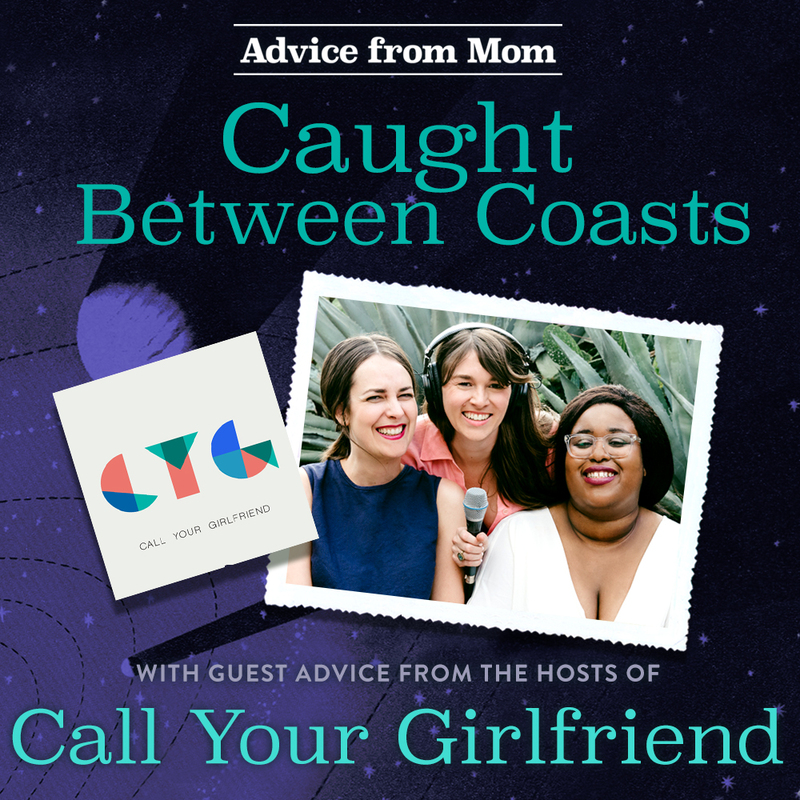 This podcast is founded on the belief that we need our mothers like we never have before. Not just our own mothers, but the mothers of the world. Once upon a time, advice from elders was easy to come by. Large families lived in one place and you knew all your neighbors. Now generations are divided by physical distance and an ever-widening technological gap. New ways of communicating leave older generations behind and divert our attention away from them. Why ask your parents when you can Google it? Sometimes you have to fight fire with fire, so we’re digitizing good old-fashioned Advice from Mom. Because my mom has #lived. You know those movie montages that whirl through multiple decades? Showing the hero evolve through the 1950s, 60s, and 70s ala. Forrest Gump or Across The Universe? That's basically my mom. The oldest girl of seven kids in Polish family in Milwaukee, she went to Catholic school in the 50s and early 60s and even got rejected from a progressive nunnery. She attended college at Madison in the heat of the Vietnam protests and even found her anarchist boyfriend making molotov cocktails in their bathtub. She moved to Chicago after college and dodged bullets in high-rise projects while working for the welfare department and befriending Black Panthers sympathizers. She made her way down to Pennsylvania in the 70s for a taste of some Philadelphia freedom and she ended up "walking in and signing up" for a soon-to-be-fancy PhD program. She converted to Judaism in the 80s after meeting Papa B at the most awesomely-named singles event ever—Mixed Doubles for Singles. All that adventuring isn’t necessarily what makes Momma B a sage wisdom purveyor. She & Papa B raised a kooky kid into a mildly respectable adult, who now embarrasses her almost as often as she embarrasses me. She also has some qualifying degrees in the subject matter, but that's a different website. Please don't think of this project as therapy. The first thing a therapist will tell you is that they don't give advice. It's your job to figure out what you should do. But you know what? Sometimes, I just want advice before I decide what to do. That’s when I turn to my mom. She is my constant source of thoughtful, loving wisdom. I'm not sure how rare of an interaction this is, but what's important to me is that it become more common. What if you too could get a similar loving mom-moment when you need it with a little help from me? If you have a wise mom in your life or a wise dad, aunt, uncle, grandparent, mentor, or friend and you'd like to share their wisdom, please be in touch. Who knows? Maybe Momma B will inspire an advice posse! Also a brief note from our justice league: This podcast is for informational purposes only and is not intended to offer diagnosis or treatment of any medical or psychological condition. All treatment decisions should be made in partnership with your health professional. NOW I think it's your turn!